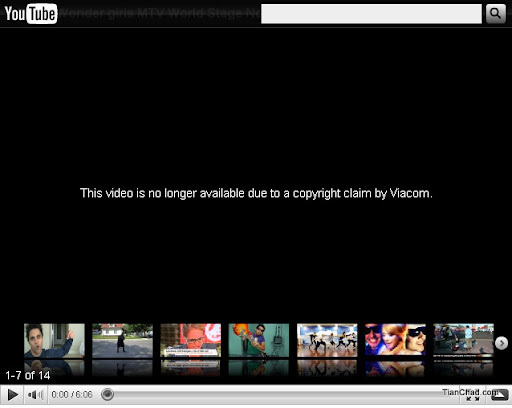 Unfortunately, all the videos were forced to be taken down and delete it because Viacom flagged them. So what is Viacom and how it related to MTV? Recognized throughout the world, MTV Networks’ diverse holdings include interests in television, digital media, publishing, home video, radio, recorded music, recreation, licensing and merchandising. With 150 channels worldwide, MTV Networks owns and operates favorites including MTV: Music Television, MTV2, mtvU, MTV Tr3s, VH1, VH1 Classic, VH1 Soul, CMT, Logo, Nickelodeon, Nick at Nite, Noggin, The N, COMEDY CENTRAL, TV Land, Spike TV, Atom, AddictingGames.com, Shockwave.com, GameTrailers.com, Harmonix, Neopets, Quizilla, Xfire, Y2M as well as MTVN International. MTV Networks continues to connect with its audiences through robust consumer products, joint ventures and approximately 300 interactive properties worldwide, including online, broadband, wireless and interactive television services—which allows all of the network’s programming services to be seen worldwide. As a result, we are not allowed to upload the copyrighted video to Youtube Video sharing channel. I received several warnings from Youtube through email and Channel, luckily before I received the 3rd LAST Flagged I decided to remove all Wonder Girls' MTV Video. If not YouTube will choose to suspend my account because of Viacom and ALL MY VIDEOS MIGHT JUST GONE like that. Most of the viewer play this video through an embedded player. Such as allkpop.com thanks for sharing it. My website traffic was doubled up during these few days. 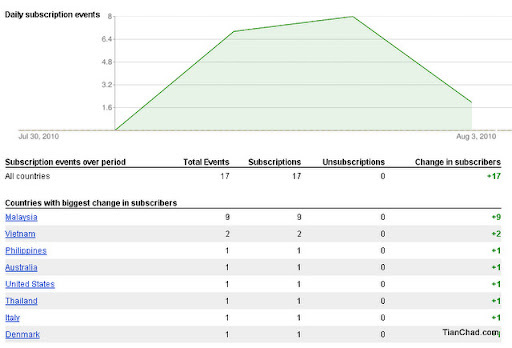 Because of this Wonder Girls video my YouTube Channel's subscriber keep increasing. Even comments also flow in everyday. Thanks for that!! 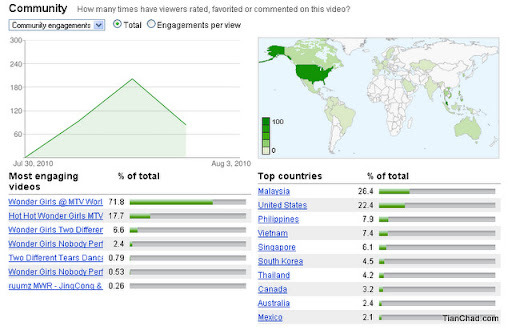 You can also know most of the viewers from which country. Korea and US are the hottest spot. I find that the demographic research is kinda interesting. 67% of the viewers are female which are mostly teenager aged between 13-17. So I came up with this hypothesis, teenage girls so in love with wonder girls because they wanna be like them someday. As for male, they don't like celebrities which is so popular because it is almost impossible to get them as girlfriend. No money some more wor. That's why the uncle/father age (35-54) men like Wonder Girls because they have extra money now. 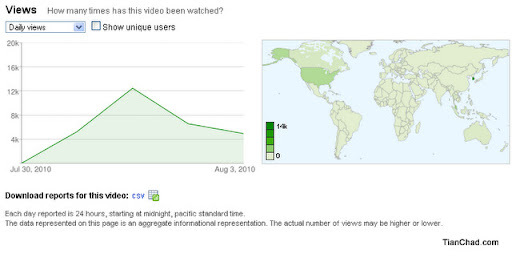 There are country's community monitoring result too. 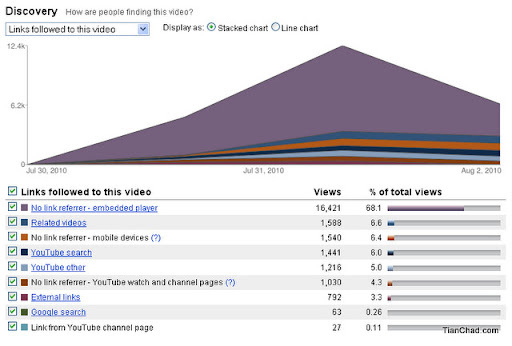 How great if I can create some videos to understand more about my audiences? This is the moment I say bye bye to all the videos about MTV Worldstage. 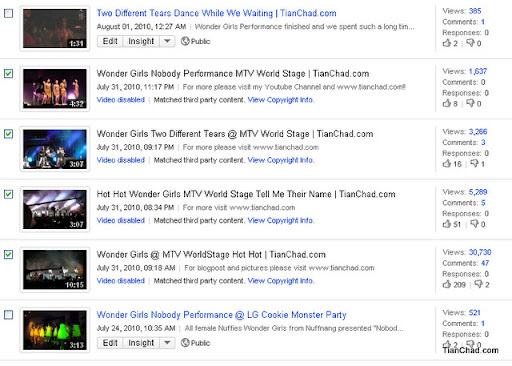 Luckily Nuffnang Wonder Girls' video is safe~! You should have a look on their performance too. It was nice~! Now I just need to keep dreaming and think about Incheon Korean Wave Festival 2010. Any Malaysia Media will go there for exclusive press release? You can ask me to go along wahaha! wah...then how now? You created a new Youtube Account?